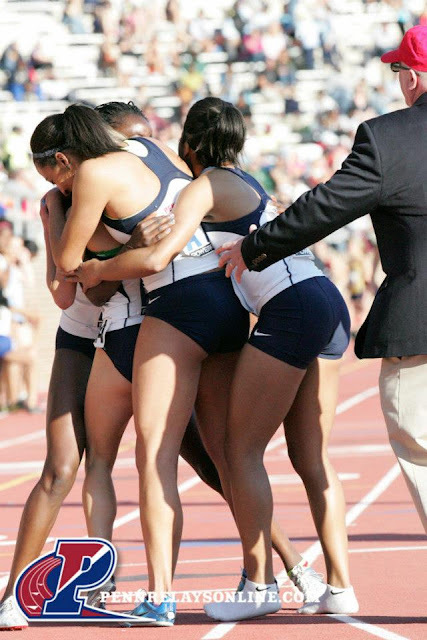 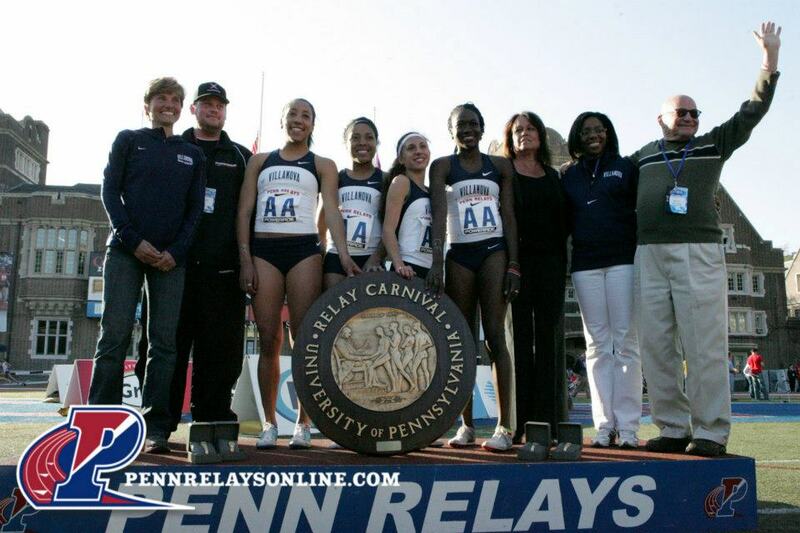 Today at the Penn Relays the Villanova women successfully defended their 2012 title by winning their 12th Distance Medley Relay Championship of America. 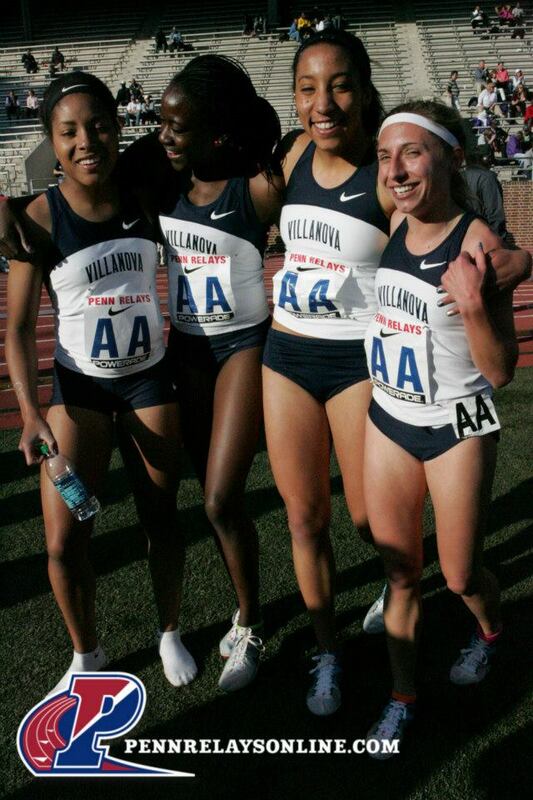 The quartet of Angel Piccirillo (3:21.8), Michaela Wilkins (54.6), Nicky Akande (2:04.7), and Emily Lipari (4:37.7) dominated the field, winning by almost 6 seconds. 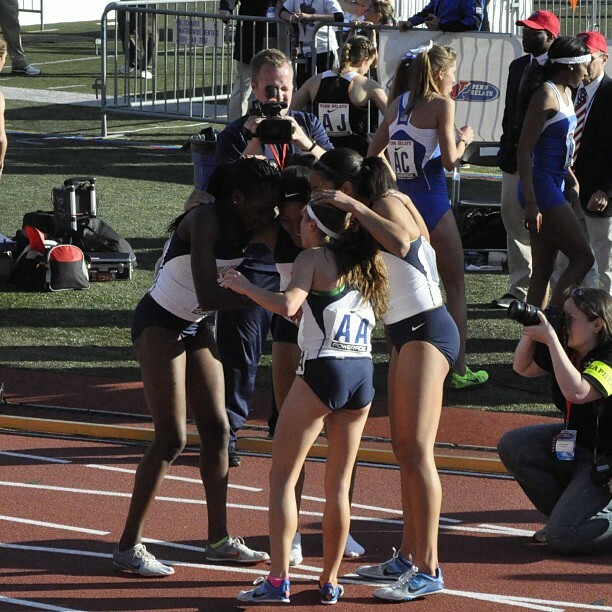 The much anticipated showdown with the Michigan DMR squad that beat Villanova into second place at NCAA Indoors did not materialize, as the Wolverines scratched from the event. True freshman Angel Piccirillo (3:21.8) got the team off smartly, delivering the baton in first place to another true freshman Michaela Wilkins. 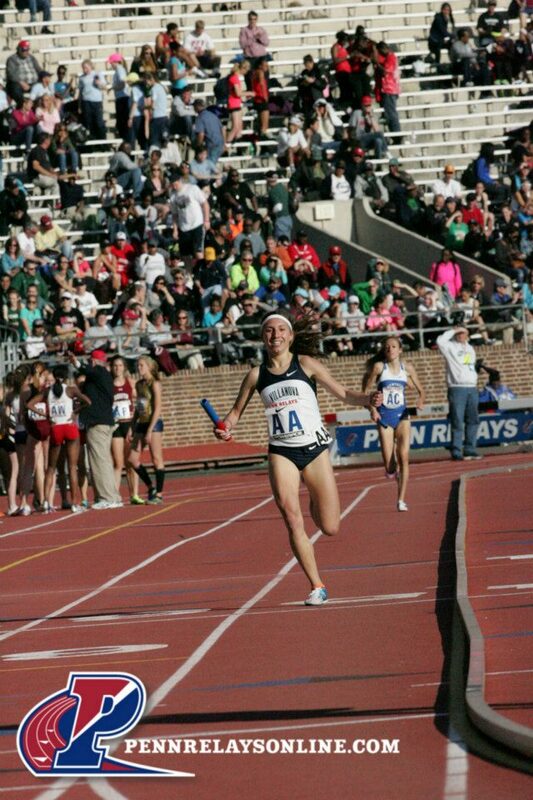 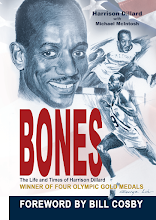 Wilkins was able to hand off a close second (at 4:16.4) to Kentucky's 4:15.3. 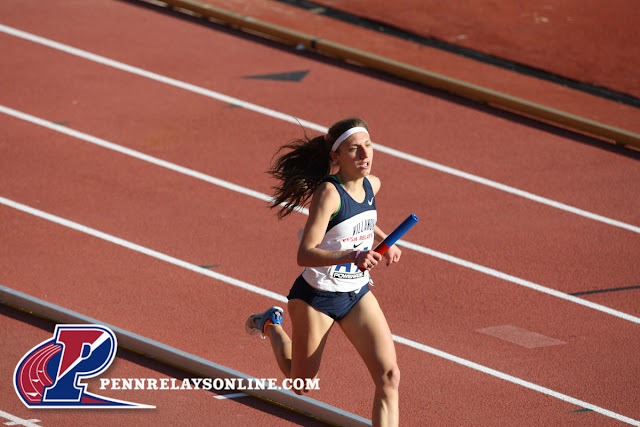 Junior Nicky Akande practically duplicated her stellar 800 leg from the 2012 Penn Relays, this time running 2:04.7 to give junior Emily Lipari a 2.7 second lead at the last exchange. 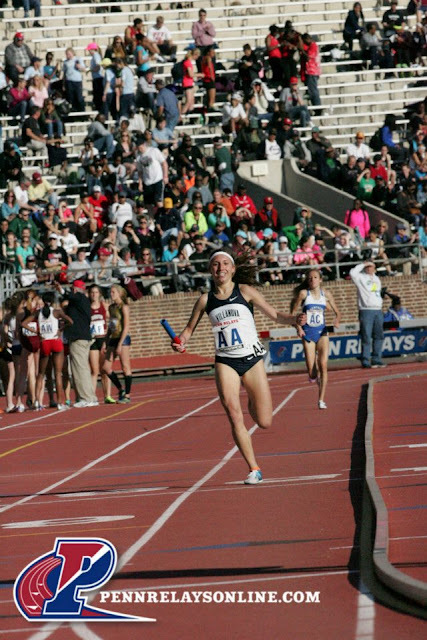 Lipari then delivered a powerful 1600 leg in 4:37.7 to seal the deal.